Smyth Law Offices, P. C., was founded in 2001 by Lisa Smyth, Esq. and Brad W. Greenberg, Esq. Prior to 2001, Lisa Smyth was the owner of Law Offices of Lisa Smyth, with a primary focus on all aspects of domestic relations law. Brad W. Greenberg, Esq., formally of Cashman, Greenberg and Knight, focuses primarily on commercial litigation, personal injury law and criminal law. 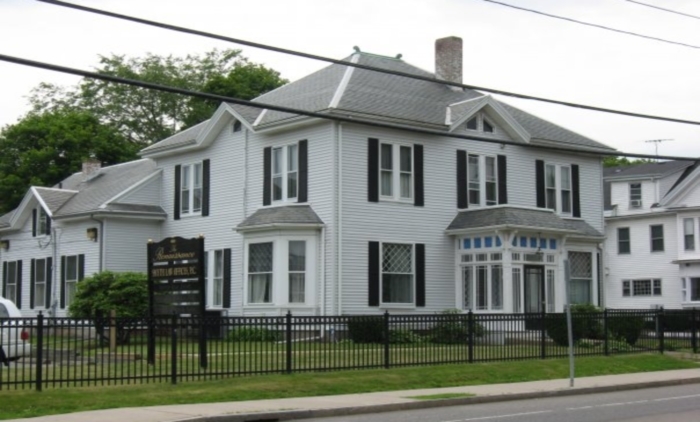 Smyth Law Offices, P. C. serves the people of Plymouth County, Suffolk County, Middlesex County, Norfolk County, Essex County, Barnstable County, Bristol County and Worcester County Massachusetts. We travel throughout the eastern half of Massachusetts to serve our clients for whatever their legal needs may be. We also practice in the Federal Courts and have represented clients in both civil and criminal matters. Smyth Law Offices, P.C. is also experienced in representing clients in appeals of family law, criminal and civil matters. We are committed to standing with our clients to help them find the best, most efficient and cost-effective solutions possible to their legal issues. We have a team of lawyers that practice as a general firm, but who each focus in a specific area. When you come to Smyth Law, PC you’ll be working with an attorney who concentrates in certain areas of the law so he or she is especially knowledgeable and skilled in the area that you need. Unlike the typical large or mid-size litigation firm, at Smyth Law PC, we allow our clients’ unusual access to the principal lawyers in the firm. Our clients initially meet with a Partner who will immediately commence work on the case WITHIN twenty-four (24) hours. Each client will be provided with a personal case manager who will be available to discuss all aspects of their case. Each client continues to receive the personal attention that is needed and appreciated when faced with a legal dilemma. We understand that every client expects their attorney to be highly skilled, however, we also believe that clients need to trust their lawyers. Clients do not want to tell their story to several different associates before they get to the lead attorney who may eventually try their case. We know that knowledge is power and insist that our clients tell us the facts of their cases in order to be equipped with the necessary tools to obtain their objectives. At Smyth Law PC, we do not like to waste time. The legal system is designed to be slow and frustrating. When the circumstances are appropriate, we advise filing suit quickly when it appears that no reasonable settlement will be reached. While settlement negotiations can lead to successful results, years of experience have taught us when negotiations will not work. We know that in many cases, without swift action, the client’s goals will not be met. Frequently, the best course is to proceed from a position of strength rather than waiting a year or two to see what happens. We believe that our clients’ time is as important as our own and clients truly appreciate our understanding and respect for their needs and goals. At Smyth Law PC, we are hands-on because that is how we control the outcome. We have fantastic associates, but only when the work passes through our own hands can you be assured that it is absolutely correct. We always remember who you hired to represent you. We are your partner throughout your need for legal assistance.